Gold Medals: 2011 FIBA U19 World Cup, 2010 FIBA U17 World Cup, 2009 FIBA Americas U16 Championship. Named to the 2018-20 USA Basketball Women's National Team pool on March 14, 2018. 2017-20 USA National Team: Listed as one of 16 finalists for the 2018 USA World Cup Team. Participated in the 2018 USA World Cup Team training camp, and helped the USA to a 5-0 exhibition record; averaged 2.4 ppg. and added 1.8 rpg. Aided the 2018 USA National Team to an 83-46 exhibition victory over China on April 26 in Seattle. Participated in the USA’s winter 2018 training camp in Columbia, South Carolina. Named to the 2018-20 USA National Team pool on March 14, 2018. 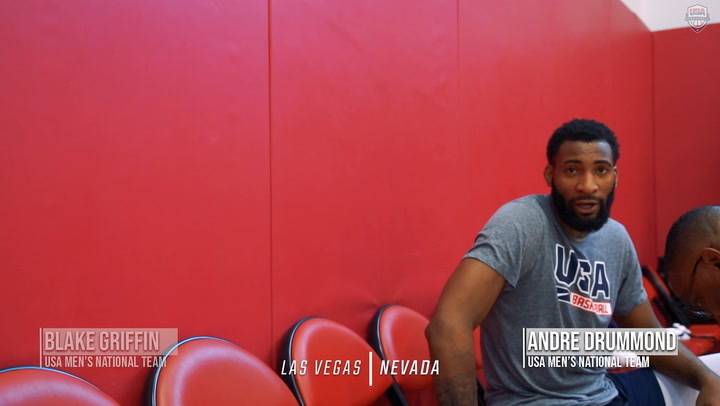 Member of the 2016 USA Select Team that played an exhibition game against the 2016 USA National Team in Los Angeles prior to the 2016 Olympic Games. Collected a gold medal as a member of the 2011 USA U19 World Cup Team that finished with an 8-1 record in Puerto Montt, Chile; started six of nine games and averaged 8.9 ppg. and 5.0 rpg. Member of the 2017 USA U17 World Cup Team that captured the inaugural FIBA U17 World Cup gold medal with an 8-0 mark in Rodez and Toulouse, France; started all eight games and averaged team-highs of 13.5 ppg. and 7.9 rpg. Earned a gold medal at the 2009 FIBA Americas U16 Championship in Mexico City, Mexico; started all five games and averaged 13.4 ppg. in aiding the USA to a 5-0 record. Drafted: No. 4 in 2015 by the Connecticut Sun; traded to the Atlanta Dream on Feb. 3, 2016. WNBA Most Improved Player: 2016. Aided the Dream in 2017 to a league second-best 23-11 record and a bye to the semifinals; started 32 of 33 games played in the regular season and averaged 9.1 ppg. and 5.8 rpg., while shooting 54.8 percent from the field. Competed for Istanbul University in the 2015-16 EuroCup and in 2016-17 in the EuroLeague with Nadezhda (Russia). After logging zero starts, 3.3 ppg., 3.2 rpg. and 0.9 bpg. as a rookie in 2015, upped her averages to 11.9 ppg., 8.1 rpg. and 2.3 bpg., while starting all 34 games played in 2016 en route to earning the WNBA Most Improved Player award. Competed in the first 21 games of her rookie season before she was sidelined for the rest of the year with a knee contusion. During her four years, Duke compiled a 111-26 (.810) record, competed in four NCAA Tournaments, including advancing to two Elite Eights and one Sweet 16, captured a pair of Atlantic Coast Conference regular season titles and one ACC Tournament crown. 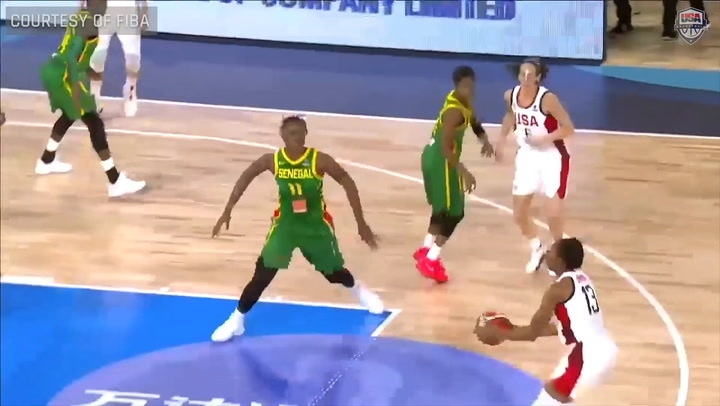 WBCA National Defensive Player of the Year (2015). WBCA and USBWA All-American (2015). Four-Time ACC Defensive Player of the Year and All-ACC first team selection. ACC Rookie of the Year and All-Freshman Team (2012). State Farm Wade Trophy finalist (2015). ACC All-Tournament first team (2013, 2014, 2015). Earned the Kay Yow Award as the ACC Scholar-Athlete of the Year (2015). Capital One Academic All-America third team (2015). ACC All-Academic Team (2014, 2015). Consensus National Freshman of the Year (2012), earning the honor from ESPN.com, USBWA, Basketball Times and Full Court. First ACC player in history to register more than 1,900 points, 1,000 rebounds and 400 blocks and the second Duke player to post 1,000 rebounds in a career. Born in Colchester, Essex, England. Daughter of Margaret and Dr. Alex Williams; has one brother, Mark, and one sister, Victoria. Attended Princess Anne High School (Va.), where she led her team to the 2011 and 2009 Virginia Class AAA state crowns, 2010 title game, and 2008 semifinals. McDonald’s, WBCA, Parade Magazine, USA Today and ESPN High School All-American (2011); Gatorade Virginia Girls Basketball Player of the Year (2010, 2011); AP Virginia Player of the year (2010, 2011) and AP All-State first team all four years. Also competed in track & field, specifically the 400-meter dash and high jump, was All-Beach District first team in the high jump. Majored in psychology at Duke. 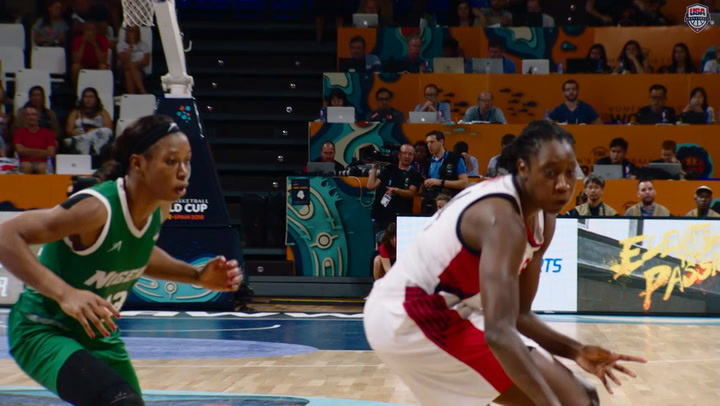 Article Already Qualified for Tokyo, U.S. Women Will Not Rest in 2019 USA Women's National team will compete in qualifying tournaments, plus youth teams have Pan Am Games, U19 World Cup and more. Article At 38, Sue Bird Not Even Close to Slowing Down, Either On Or Off the Court A WNBA and World Cup champ again, Sue Bird also now works in the front office of the Denver Nuggets. 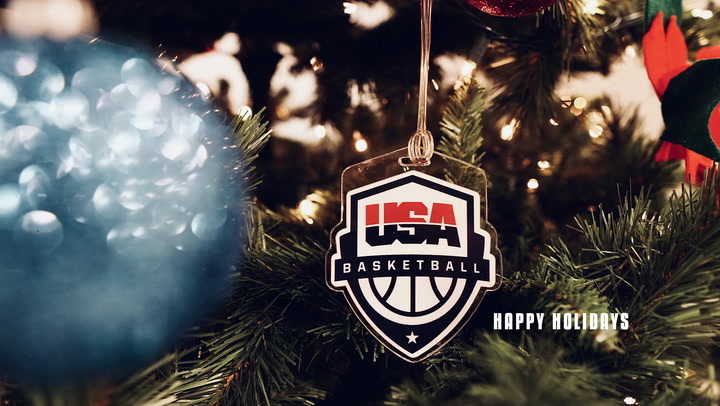 Article USA Basketball’s Carol Callan Honored for Contributions to the Game Callan is the recipient of the 2019 Naismith Outstanding Contributor to Women’s Basketball award. 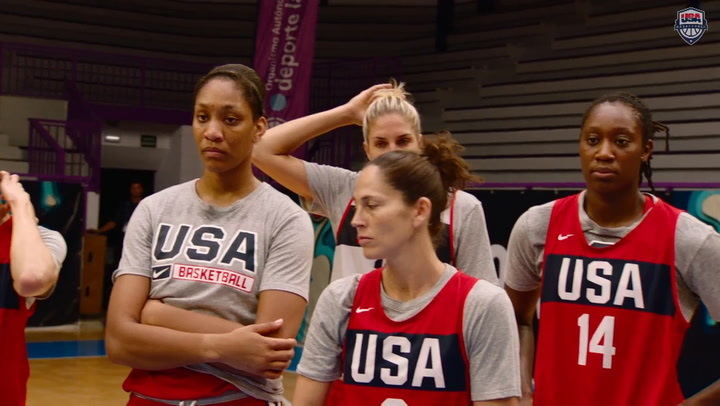 Video USA Basketball Women Making History We Are The Past. We Are The Present. We Are The Future. We Are 𝙒𝙤𝙢𝙚𝙣 𝙈𝙖𝙠𝙞𝙣𝙜 𝙃𝙞𝙨𝙩𝙤𝙧𝙮. 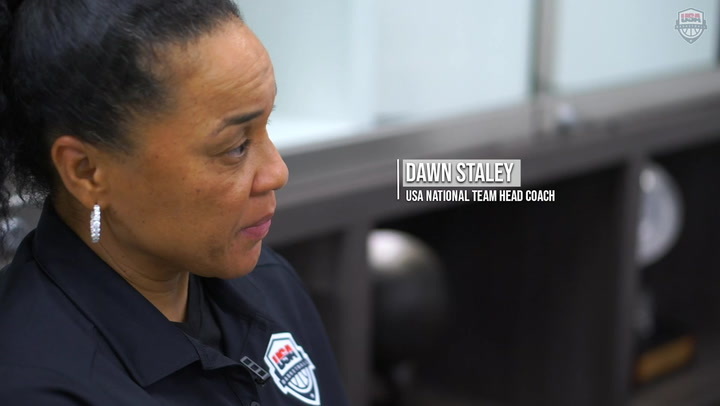 Video 2018 USA Youth Olympics Team Shadows The USA National Team Members of the 2018 U.S. 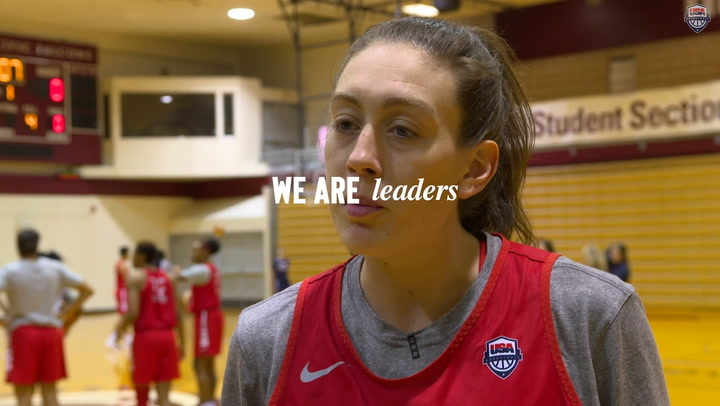 Youth Olympic Team shadow the 2018 USA National Team and find out what being a member of the world's most elite basketball team is all about.